Information about our services, facilities, policies, and procedures that will help you make the most of your UVA Law Library experience. Smoking and Vaping by faculty, staff, students, and visitors are prohibited inside facilities owned or leased by the University (including all on-Grounds housing facilities) and in University-owned vehicles. It is also prohibited (1) within 25 feet of all entries, outdoor air intakes, and operable windows; and (2) in any outside area adjacent to a facility whose configuration and/or other physical conditions allow smoke/vapor either to enter and affect the internal environment or to unduly affect the environment of those entering or exiting the facility. The possession, storage, or use of any weapon by the general public or visitors, except a law-enforcement officer, on University property in academic, administrative, athletic, entertainment, or student residence buildings, child care or dining facilities, or the University Medical Center, or while attending sporting, entertainment, or educational activities is prohibited. The consumption of alcohol, except at an officially sponsored event, is prohibited in all libraries. Library patrons are expected to respect the rights of other patrons to use library resources and facilities in a quiet, clean, and peaceful atmosphere. Library patrons must not engage in disruptive activity or other behavior that interferes with the normal use and operation of the libraries. Such behavior includes but is not limited to: verbal abuse, yelling, intimidation, or harassment. In order to provide an optimum environment for using the Library, users should conduct cell phone conversations away from study and research areas and turn off ringers while in the Library. Food and drinks, within reason, are permitted in many Library locations. However, Library patrons are expected to be considerate of others and to avoid messy, smelly, or noisy food items. Aluminum cans and waste paper should be recycled in the proper receptacles. All other trash is to be disposed of properly. Food and drinks are prohibited in Special Collections areas and restricted at computer workstations and microform or other equipment susceptible to damage. Library restrooms are not to be used for bathing or other similar purposes. Do not trespass. No patrons are permitted to be in the library when it is closed. Your image may be recorded. Library patrons are responsible for their personal property at all times, and should never leave personal property unattended. The Library is not responsible for any loss or damage to personal property. Library patrons are expected to respect and care for all library materials, equipment, and property and may not remove such items from the Library without proper checkout or authorization. Library patrons must not maliciously access, alter, damage, or destroy any Library computer or database. Library patrons must respect a staff member’s request to relinquish a computer or other equipment for use by another patron. Library patrons are expected to comply with the Library’s policies (available at the Circulation Desk) regarding online viewing of sexually explicit materials. The Law Library is open to the University community as well as the general public. Although the library hours are 8 a.m. – midnight daily (with extended hours during exams), the doors to the law school building are automatically locked from 6:00 p.m. to 7:00 a.m. on weekdays and on weekends. Law students, faculty and staff may swipe their ID cards to access the building during “lockdown” hours. Scanners for swiping ID’s are positioned outside of the main entrance doors on every side of the law school building. Students are not permitted to use the library when it is closed. The main entrance to the Law School offers handicapped parking and automatic doors for wheelchair accessibility. The rear entrance offers a ramp and automatic doors that lead to an elevator to the first floor. The library entrance is not handicap accessible, but the staff is willing to assist, if necessary. Likewise, if a patron needs help with retrieving or photocopying materials, the Circulation and Reference staff are happy to assist. In case of a fire or other emergency, the second floor of the library is equipped with two "Areas of Rescue Assistance" for patrons with physical disabilities. For questions or comments, please call or email Cathy Palombi, Access Services Librarian (434-924-3519; cpalombi@law.virginia.edu). Additional information about services provided by the University for students with disabilities can be found on the UVA Services for Students with Disabilities web page (http://www.virginia.edu/accessibility). The University, the Law School, and the Library use many computer systems and networks and sometimes these systems require separate and unique user accounts. Here's a guide to some of the most common ones you'll run into in the Law Library. University Computing Account. This is UVA's main computing account with user IDs that are based on the user's initials (e.g., mst3k). The computing ID is typically used with Office 365, Netbadge, Home Directory, and the Lawschool domain (see below). Lawschool Domain Account. This is used for logging into the Law School's computer network for access to the LawWeb intranet and networked printing services. The login is usually your computing ID with a password of your choice. LawWeb. LawWeb is an intranet for the exclusive use of law school faculty and students. Virgo Account. Virgo is the main library system for finding and checking out books. Students are automatically registered in Virgo. Library Databases, Lexis, Westlaw and Bloomberg Law. Most library subscriptions to electronic resources are restricted to users on the UVA network and do not require an individual login. Three exceptions are Lexis, Westlaw and Bloomberg Law. 1Ls have an opportunity to receive their passwords during orientation. Students who don't get their passwords during orientation should refer to our FAQ. Account logins and passwords are maintained by each individual. Interlibrary Loan Services. UVA students may request materials from non-UVA libraries. Registration is required. See “Interlibrary Loan Services” below for details. Netbadge Account. Netbadge is a UVA-wide authentication service used to confirm a patron's affiliation with UVA. Home Directory Account. Students are provided with networked drive space that can be used for backup storage or individual web pages. UVaAnywhere VPN and EZProxy. There are two options for authorized users to access UVA network services from remote locations. Most library databases are licensed for use on UVA networks only. These services permit access to remote users as if they were on grounds. Wireless Access. Wireless access is available to students while in the Law Library. See Wireless Access below. Study carrels are available to faculty research assistants, L.L.M. and S.J.D students, and law school journal members for a semester or year. Inquire at the Circulation Desk about carrel assignments. A number of carrels on the first, second and third floors are unassigned and can be used by anyone on a first come, first served basis for private study. In order to provide a quiet study atmosphere, patrons are asked to conduct phone conversations in the second floor copy room, the myLab space (second floor), the two second floor cell phone booths, or away from all study areas. Patrons are also asked to turn off ringers while in the library. Most library materials can be checked out by law students for the academic year (500 item limit). Unbound journals circulate for one week, and reserve materials can be checked out for three hours. Statutes, looseleaf volumes, reports, indexes, and reference materials do not circulate outside the library. Materials are subject to recall, but they can generally be renewed if not requested by another patron. Renewals may be requested in person at the circulation desk, by telephone (924-3384) or via e-mail (circ@law.virginia.edu). The Circulation desk does not, however, lend laptops or computer tablets. Please contact the IT department for these requests. Computers are available in the computer lab in the library and require a login and Law School computing account. Wireless computing is available to students on a secured wireless network (Cavalier). See Law ITC's Computing web page for more information. Along with LawWeb accounts, students have a printing and copying account created for them automatically. An initial copy PIN can be found in that first account email but students can change their copy PIN at any time or have their student ID activated for card-swipe access to scanning and copying services. For complete information on the multifunction printers in the library and instructions on setting up your account, see the Printing, Copying & Scanning FAQ. The Law Library and the University Library subscribe jointly and separately to many electronic resources under various licensing arrangements. For information on these databases, e-journals and e-books (including access instructions and restrictions), see the Databases A to Z guide. The DVD and video collection is available for checkout only to students, faculty, or staff members of UVA. The loan period is for 7 days. Students may borrow up to 2 titles at a time, and returns may be made to any UVA library. If you would like to suggest titles for purchase, please e-mail or call Cathy Palombi (cpalombi@law.virginia.edu, 924-3519). The library does not routinely provide access to recent old exams, except for decades old exams that have been donated to our archives. However, professors may elect to post copies of exams to their Canvas course pages. Virgo is the online catalog for the University of Virginia. Users may limit their searches to materials located in the Law Library or may search for all materials, online and in print, held by UVA libraries. Virgo can help patrons find books, call numbers, databases, electronic journals, audio and video materials, and online articles. Public computers are available for all patrons in the first floor reading room and near the Reference Desk. For floor maps of the library you can either click on the Map icon for specific directions while viewing your item in Virgo or you can view the Maps & Directions Guide for collection location information. Food is permitted in the library, as long as it's not smelly, noisy, or messy. Beverages in covered containers are permitted in all areas except the computer, media and microform areas. No smoking or vaping are allowed. A number of group study rooms are available for UVA law student use on the first and second floors. Visit the Group Study Room Reservation System for more information and to make a reservation. Other library spaces are available both for study and for study breaks. The Law Library's reference librarians have prepared a series of brief, instructional videos for law students as well as for public patrons. The topics range from "Introduction to Basic Legal Citations" and "How to Find Materials in the UVa Libraries" to "Researching Modifying Child Support in Virginia." These may be found at Library Research and Instruction. Interlibrary loan services are provided to law students for materials not available at any UVa library. Items that can be borrowed include books, journal articles, reports, dissertations, government documents, and materials in microform. The turnaround time depends on the lending institution, but averages one week. Delays or problems with your request will be communicated to you via e-mail. Before submitting an ILL request, check the VIRGO online catalog to see if any UVa library owns it. If another UVa library owns the material, check to see if your request is eligible for student delivery service. If the item is checked out, click Recall Item and enter your computing ID and the last 4 digits of your social security number OR the last 4 digits of your university ID (for anyone entering UVa in August 2007 or later). Select Law as the pickup library (or whichever library is most convenient). When it becomes available, you will receive an e-mail telling you it is on hold for you here. In VIRGO, click the Sign In link on the toolbar at the top. Log in to Netbadge if necessary. Click ILL/LEO Requests on the left-hand navigation menu, then the UVA Users Enter Here button. This brings you to the Interlibrary Services page. On the left of the screen, select the request type and fill in the required fields. Notice that in this column you may also look at pending requests, renew checked out materials, and a variety of other options. If the title in VIRGO is missing or you want a different edition, click the Request Item button, followed by Sign in with Netbadge. You'll notice that the fields for the record you're currently viewing will already be filled out on the form (which you can edit, if necessary). Interlibrary loan borrowing requests are processed by Alderman Library’s Interlibrary Services Department. Lending requests are processed through the Law School. If you have borrowing questions, you may e-mail 4leo@virginia.edu, or call 434-982-2617. You may also ask a reference librarian at the Law Library for assistance. Materials are usually loaned for a period of 56 days. Contact the ILL department if you need the item longer. The Research Guide contains links to helpful information about legal research methods and tools available in the library and online. Reference Desk services and hours are posted at https://libguides.law.virginia.edu/reference. Lost and found items are kept on open shelves in the Reserve room, except for items of value such as keys, wallets, and jewelry. Inquire about these at the Circulation Desk. For floor maps of the library with collection location information, driving directions, and maps of UVA Grounds, see the Maps & Directions Guide. The microform collection contains the equivalent of 180,000 volumes, and is located on the second floor, behind myLab. Reader/printers are also available, free of charge, for anyone wanting to view or make copies. The office of the Media Librarian, Micheal Klepper (mklepper@law.virginia.edu or 434-924-3495), is located opposite the microform area and questions regarding the collection and equipment should be directed to him. When materials are returned late and fines have accrued, the user will receive notification of the amount and reason for the fines. When materials are not returned and become long overdue, the user is billed for replacement cost and library privileges are suspended. This includes use of Special Collections, Interlibrary Services and LEO book delivery. Payment for materials found and returned within 90 days of payment will be refunded. Student fines will be referred to the University Student Financial Services for collection as part of the university’s centralized billing system. Filming and photography by UVA Law students, faculty and staff are permitted in the Law Library, but in no cases may patrons be disturbed or inconvenienced. Additional policies apply to Law Special Collections materials. The Law Library supports our patrons’ confidentiality and privacy rights as expressed in the American Library Association’s Code of Ethics, in UVA’s Data Protection of University Information​, and in the American Association of Law Libraries’ Ethical Principles. We maintain a minimal amount of personal information on the library’s systems in order to process circulation transactions, e-mail notifications, overdue fine collections, etc. but this information is never shared with third parties except as required by law. The library collects usage analytics on some of its web pages by means of first-party cookies. No personal identification information is collected. You may opt out by turning off cookies on your browser or by using an opt-out add-on. Need help locating a few resources for a cite check or paper? Reference librarians are on duty to assist students five days a week when the Law School is in session. The Reference Desk is centrally located on the second floor of the Law Library. Reference librarians can also be reached by telephone at (434) 924-7465 or by e-mail at refdesk@law.virginia.edu. The Law Library can provide research guidance, but we cannot interpret the law or provide legal advice. We cannot, for example, find statutes applicable to a particular subject or a specific set of facts. This is an inquiry that requires you to exercise your own legal judgment. Persons needing assistance in analyzing a legal problem are advised to consult an attorney. Email reference service is intended primarily for students, faculty, and staff of the University of Virginia. 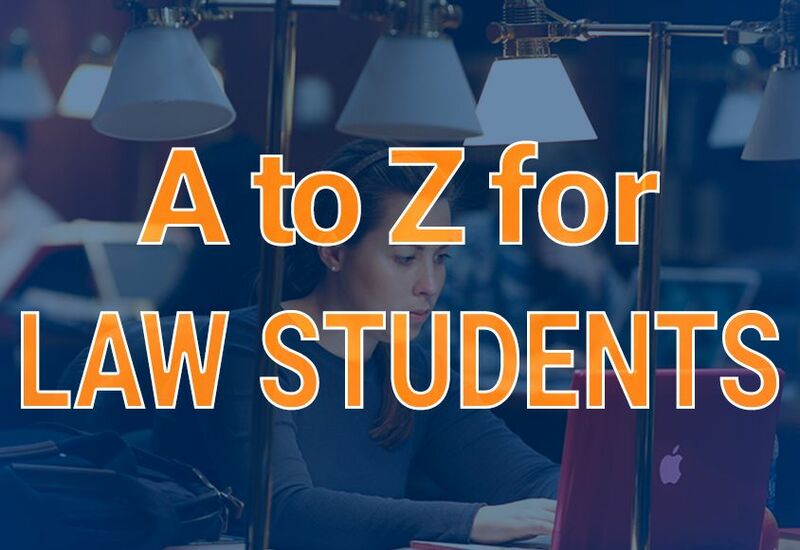 If you are not affiliated with UVA, we will reply to your inquiry only if it relates to the School of Law or to a resource unique to the Law Library. Every successful in-depth research project begins with a solid research plan. Our research librarians are available to help students develop research plans and to guide students through successful use of the library's extensive collections. Feel free to stop by the Reference Desk on the second floor anytime between 9 a.m. and 5 p.m. Monday through Friday. Students are also welcome to schedule a consultation with a librarian at any point in their research process. If you'd like to schedule an appointment with a specific librarian, their contact information is listed below. Most library databases and e-resources are restricted by license to users on the UVA network. However, UVA-affiliated users may access these resources from home or from other remote sites by means of our EZProxy server or the UVaAnywhere service. For information on these services and how to register, visit our Off Grounds Access FAQ page. Most materials may be renewed by calling the Circulation Desk (924-3384) or by logging into your personal Virgo account. Interlibrary loan items cannot usually be renewed; renewal information is posted on the cover of the item borrowed, or you can contact the Reference Desk (924-7465; refdesk@law.virginia.edu) to inquire about an ILL renewal. The library has created a number of Research Guides to help our patrons get started with their legal research, learn about the electronic resources available at UVA, and find books and other materials in the library. The Special Collections department is on the third floor of the library and contains rare books, manuscripts and archival materials. Visitors to Special Collections are encouraged to contact the library in advance at archives@law.virginia.edu to schedule an appointment. For complete information on using Special Collections see the Special Collections website. Law students needing materials from other libraries on UVA grounds may use our Student Delivery Service to request pick-up of those items. This service is provided to law students only and some restrictions apply, so please read the fine print. The UVA library system consists of the University of Virginia Library (Alderman Library, Clemons Library and departmental libraries) as well as the independent, professional school libraries for Health Sciences, Business and Law. All the libraries use the same Virgo library catalog for checking materials out although there are sometimes slight local variations in circulation policies. For more information on the UVA library system, see the University of Virginia Library web site. Virgo is UVA's library catalog. It is the primary resource for finding books and articles, for looking up call numbers and locations, for placing Inter-Library Loan requests, for recalling items that are checked out, and for requesting items from the off-site Ivy Storage facility. It is also a source for linking to the electronic resources and databases covered under library subscriptions. There is an older version of Virgo called Virgo Classic which has a more traditional interface with browse search functionality. The Virgo login at the top of the screen uses Netbadge authentication to show your current checkouts, due dates, renewals, etc. Interlibrary loan PIN numbers for law faculty are managed by the library since faculty Interlibrary loan requests are normally handled by refdesk. Interlibrary loan PIN numbers for law students usually consist of the last 4 digits of your UVA ID number or last 4 digits of your SSN. Wireless computing is available to University students, faculty and staff on a secured wireless network (Cavalier). All other patrons have the choice of using the library's public computers or registering for a short-term guest account on the unsecured Wahoo wireless network. Instructions for wireless registration and for obtaining a passcode are available at the Law Library's Circulation Desk.